Could This Be Meghan Markle's Wedding Dress? When Prince Harry and Meghan Markle finally announced their engagement in November this year, it didn't take long before our attention moved away from that ring and onto the potential wedding dress Meghan would choose for her big day. A royal wedding dress can't just be any standard gown, after all, and we were certain that all plans for the design would be kept a closely-guarded secret until the couple's wedding date in May. 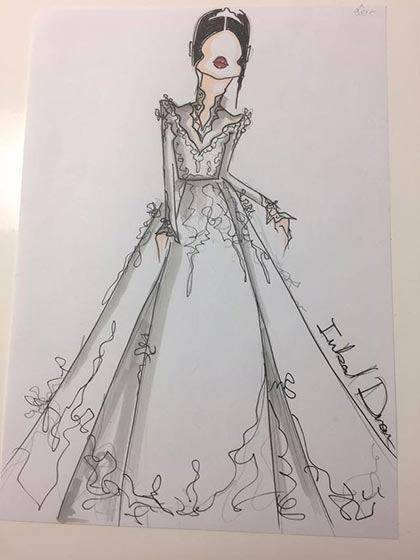 However, sketches by Israeli bridal designer Inbal Dror, submitted to Meghan for consideration have just been leaked. 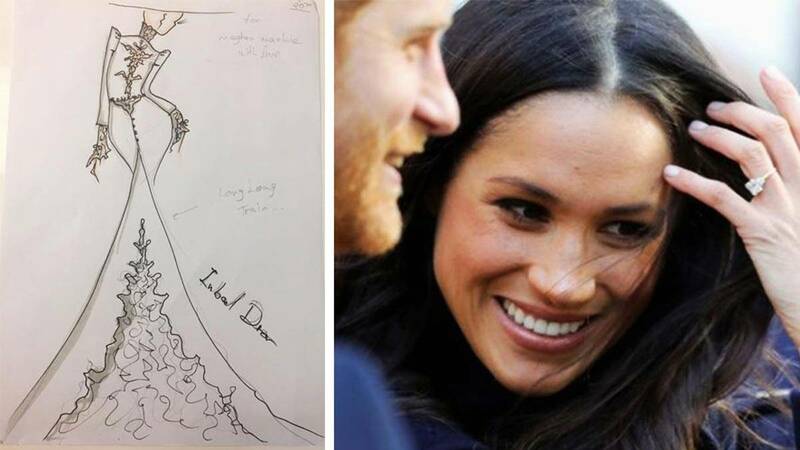 According to TMZ, the sketches were sent following a request by the royal family. Unlike her soon-to-be sister-in-law, Kate Middleton's, royal wedding gown, which was designed by Alexander McQueen and featured traditional lace and a huge train, these dresses appear far more ~*modern*~. 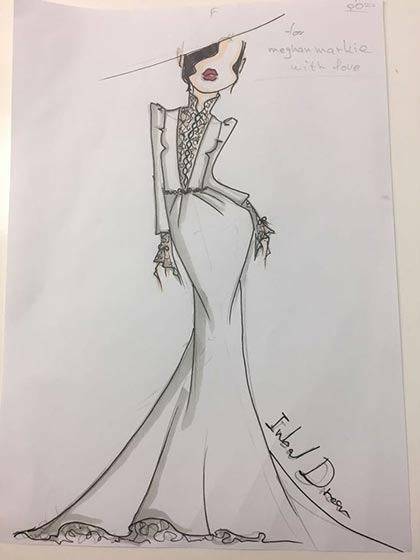 While the detail and figure-hugging shape of the sketches would be a departure for traditional royal brides, the high-neck design and long-sleeves would be keeping in with past dresses. Unfortunately for us, we'll probably still have to wait until May 19, 2018 to see what she finally picks. 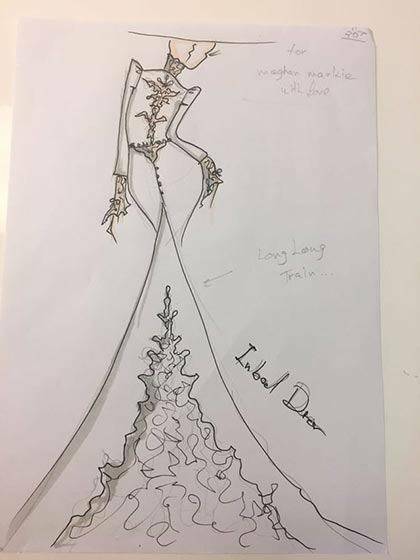 It is likely that Dror is one of a few designers who have been requested to submit ideas for the gown, and will be fighting for the right to dress Meghan. And, sadly, we're guessing there's no way this future royal bride will be walking down the aisle in something the whole world—including her future hubby—has seen all over the internet. It does however give us an idea of the type of dress she might choose, which is very different from the dress she wore to her first wedding.